Recently I picked up Harry Potter and the Sorcerer’s Stone and four books into the series I think it’s safe to say I’m addicted. Ever since I started reading this series, I’ve been ready, willing, and eager to talk to anyone who will listen about how much I’m enjoying it, what I think of the characters, and what I think will happen next. Just two weeks ago #BlackHogwarts started trending on Twitter, and Black Potterheads shared their love of this magical series by way of jokes and memes that made me laugh out loud. Watching that joy play out on Twitter reminded me of what I love most about being Black. We have this keen ability to take what was not intended for us and make it our own. When J.K. Rowling put pen to paper and began to write this series, although we may not have been excluded I feel it is safe to assume Black boys and girls were not the targeted audiences. Time and time again various industries have taken it upon themselves to decide what we will and will not gravitate towards. Despite the success of Jordan Peele’s, Get Out, it is still in question whether horror films with Black casts will draw an audience. Nonetheless, whether intended for us or not, we watch and read what we want. 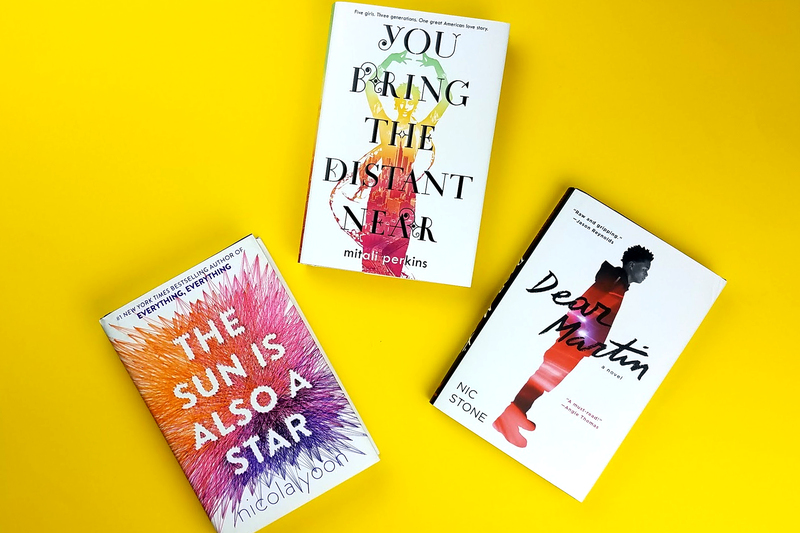 I have managed to fall in love with these books about a small, white, kid who happens to be a wizard as a 30-something-year-old Black woman who sticks close to reality. Because of My Lit Box, I have shaken the limitations I once placed on myself, and this freedom has allowed me to find myself in stories I never would’ve imagined, and the most unlikely place I’ve found so far has been in Young Adult novels. I may not see my physical self, but I see young men and woman who face the same conflicts and struggle with the same emotions as I do. When I want to ignore everything that tells me to do right, be good, and to take the high road when fulfilling the stereotype would be much easier I feel like Justyce McAllister in Dear Martin by Nic Stone. As someone who doesn’t believe in fairytales but believes in love, sometimes I feel like Natasha in The Sun Is Also A Star by Nicola Yoon. I share Sonia and Tara’s grief over the loss of their father as they try to piece their lives back together and carry on in You Bring the Distant Near by Mitali Perkins. These are the characters, stories, and experiences I have been able to relate to in the books I least expected. In the past I have been asked why, on occasion, I feature Young Adult novels in My Lit Box and my response is always “good books are good books” and that’s a conclusion I had to come to on my own first. I do not know which genre I will tackle next where I will see glimpses of myself, but I know I’m looking forward to it.